Shipping delivery time estimates will be presented to you during the checkout process. 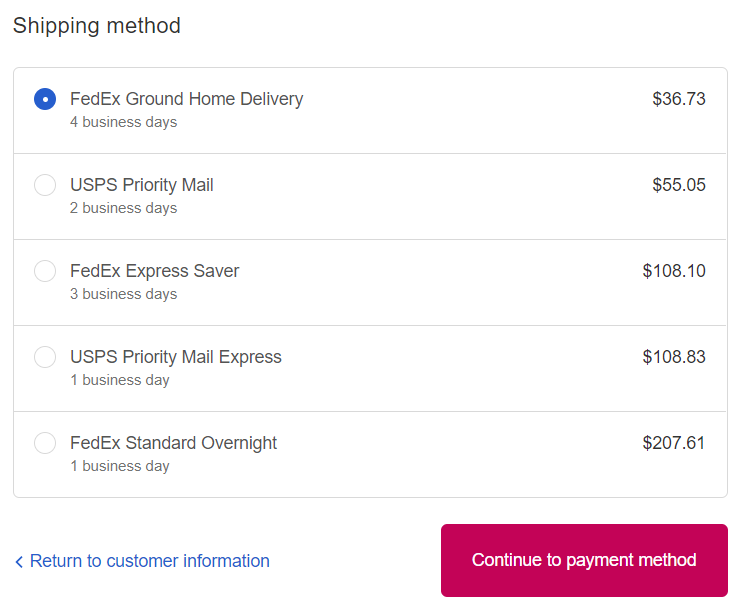 Each shipping method will show an estimation below the carrier and service name. In general, USPS Priority Mail is 2-3 business days, and Fedex Ground is business 2-5 days within the continental U.S. International shipment delivery times vary as a function of carrier, country, and customs processing time. Once you receive a shipping confirmation email you can click the tracking number to see updated shipping status and expected delivery dates.